If after reading the other pages and posts, you feel you need a brush-up on Pythagoras’ Theorem, read on. 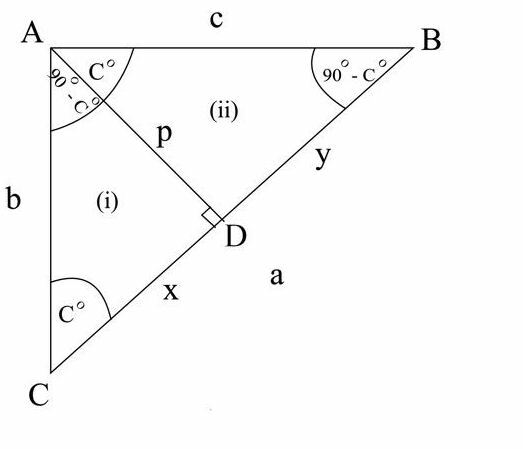 We can see in the diagram below that, in the triangle ABC, if a perpendicular is dropped from point A to side a at point D, ABC is divided into 2 smaller triangles which are both similar to ABC. The distance from town A to town B is 48.5Km. The distance from town B to town C is 38.25Km. 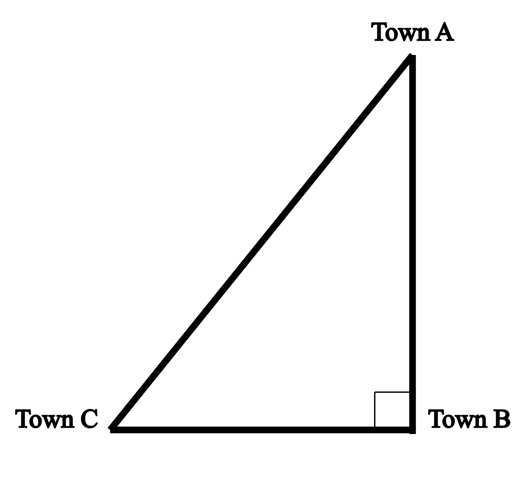 What is the distance from town C to town A? Therefore the distance from town C to town A is 61.77Km.